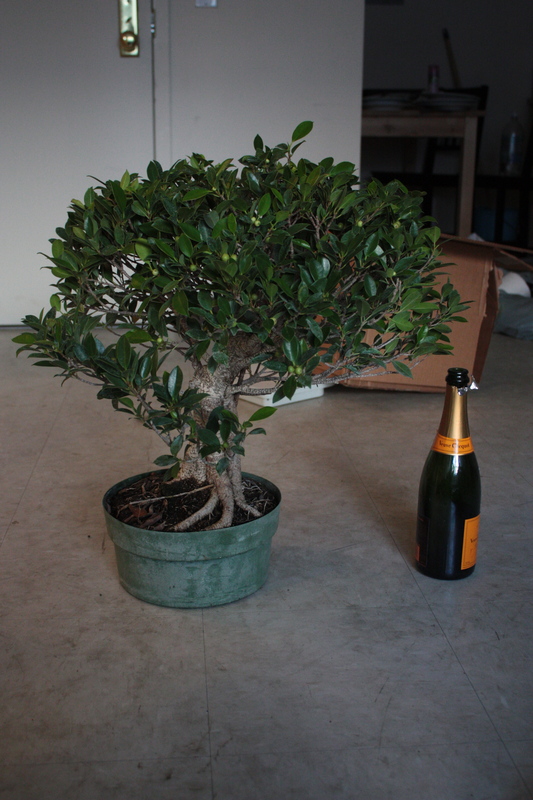 Scale miniatures will always be more accurate at reproduction than bonsai. For example, Michael Paul Smith’s cars. 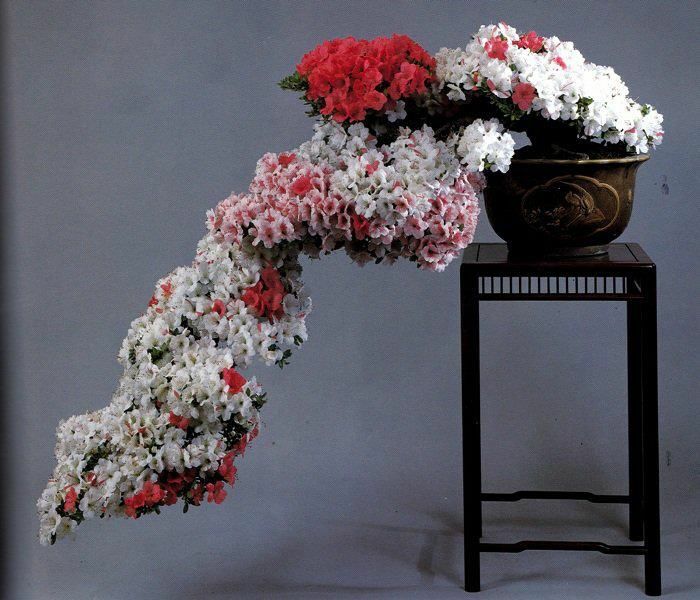 The articulation you can achieve, the deceptive qualities of paint, the resolution of plastic are all much better than you can achieve with a plant. 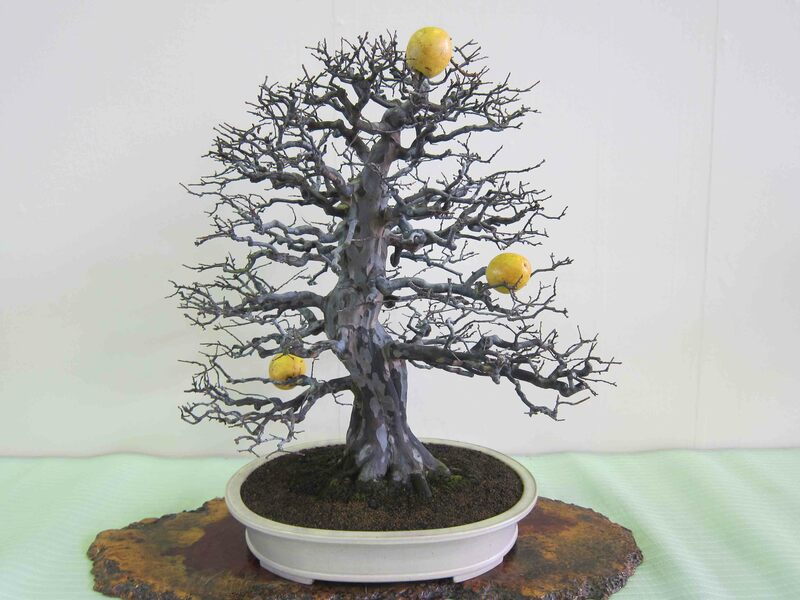 If you were to ask me how to create the most convincing and accurate miniature tree I would tell you to work in plastic. 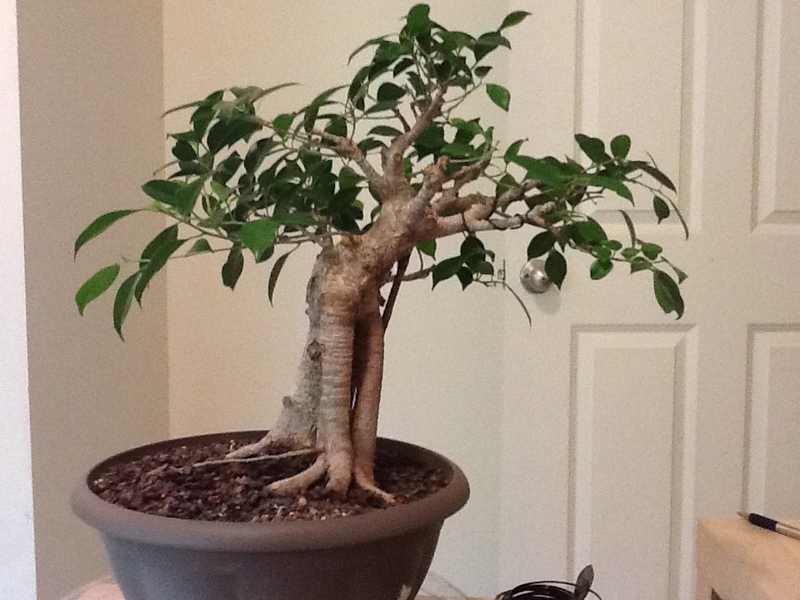 So what the hell is the point of bonsai? Why do we even bother with these plants? 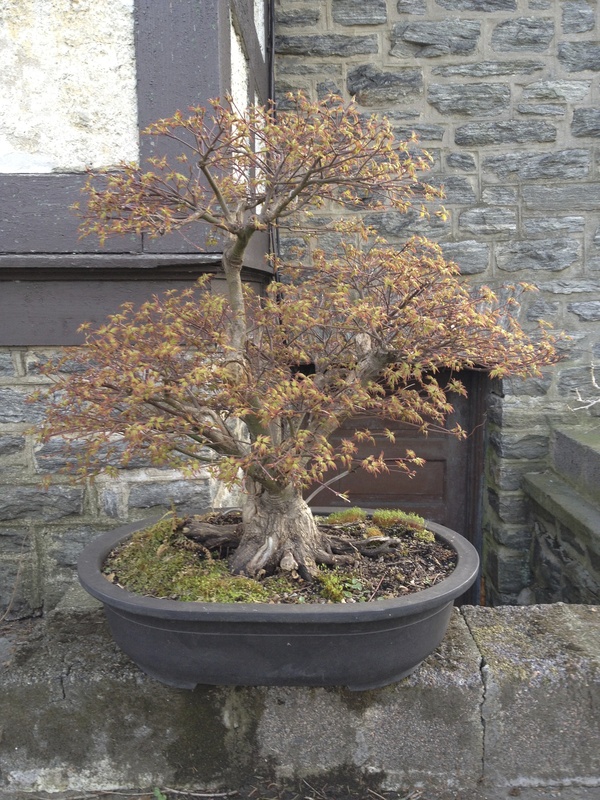 I’ve seen many arguments about how to define bonsai. 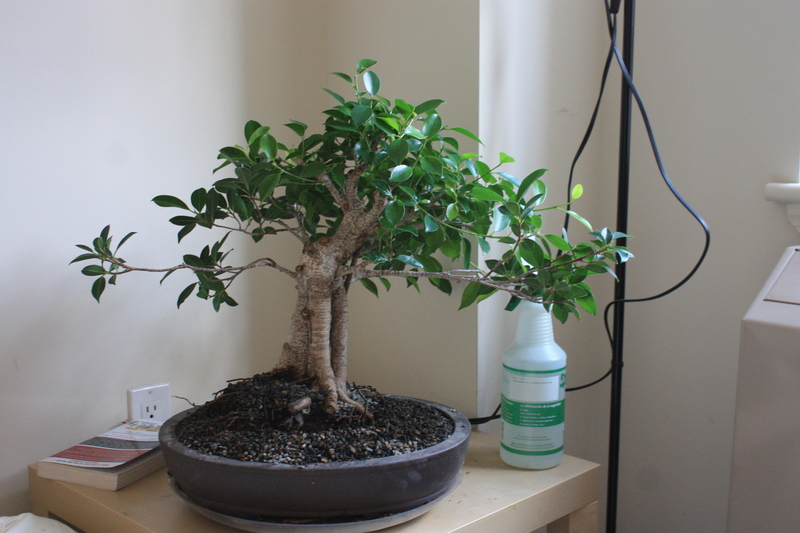 Beginners will proudly display their ikea bought ficus or roadside juniper cutting and say “Well, yes, but it is a tree in a pot!” and more picky veterans will argue that it is about creating a scale miniature of a tree. Yet exception, after exception abound! 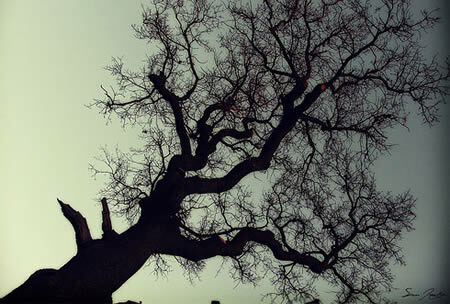 When have you seen a tree like this? 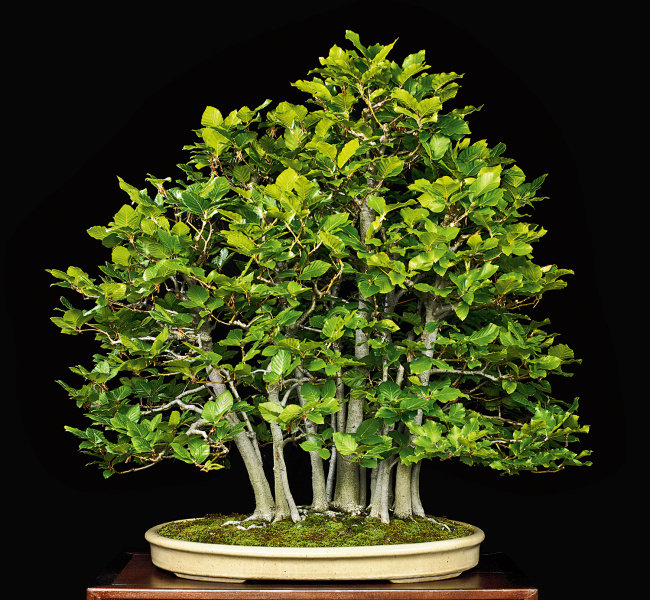 No, bonsai is not simply miniaturization, that, like most of the rules of bonsai is a means to an end. 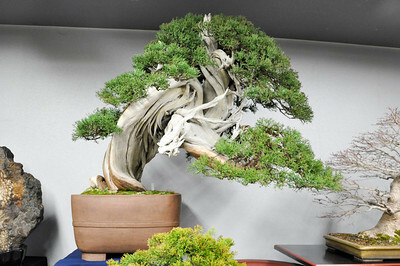 We must consider the essence of bonsai. We must ask ourself, what is this thing? 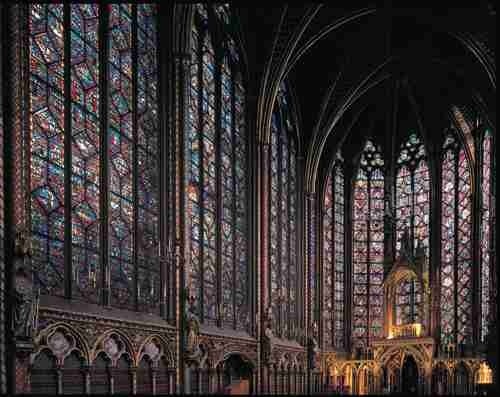 What is its first principle? Or, like a good molecular biologist, what bit absolutely cannot be removed without breaking it? 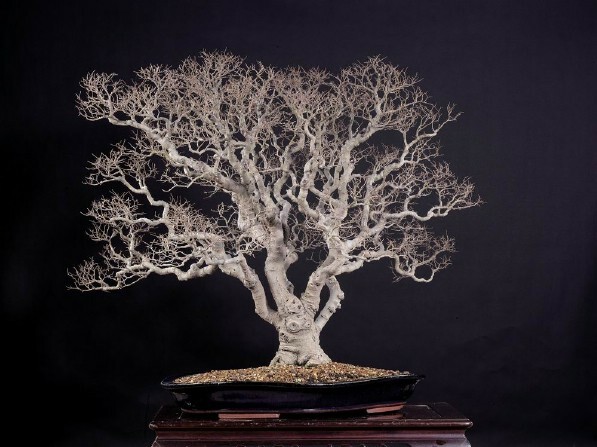 It doesn’t matter if we’re talking about a cutting, pre bonsai, yamadori or a masterpiece that has been passed down from bonsai artist to bonsai artist, they all have one thing in common: they are alive and as soon as they are not they have ceased to be bonsai. 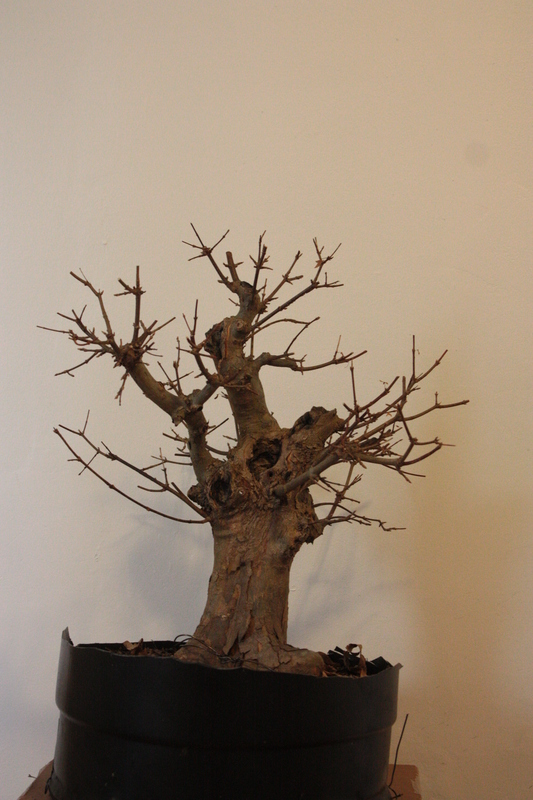 The transformation from a piece of driftwood to a bonsai through a phoenix graft or tanuki should be proof positive of this, it is only through the introduction of life, of living tissue that what is essentially fire wood can become a bonsai. These thoughts were heavily on my mind at the most recent wood stock, an educational program led by Jim Doyle and Walter Pall at Nature’s Way Nursery. 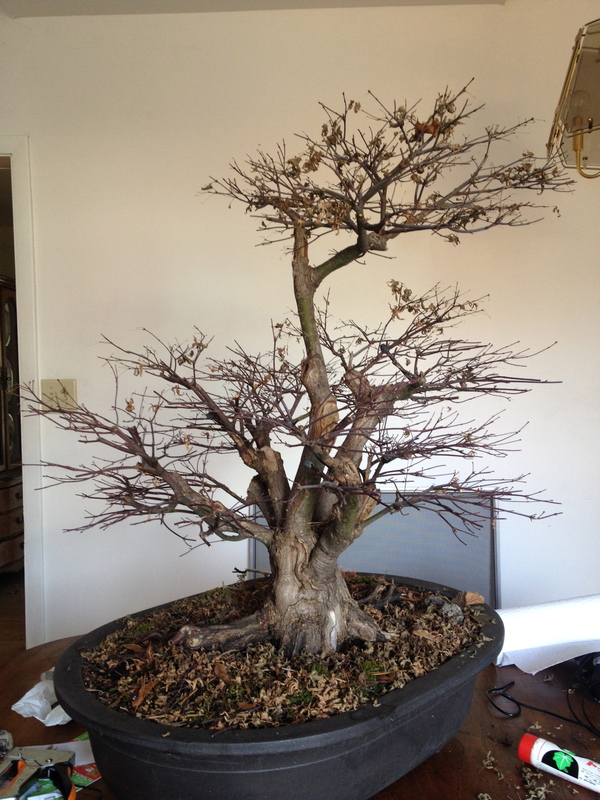 A very old Rocky Mountain Juniper that had once appeared healthy was in bad shape. Very little green foliage, mostly pale yellow, not the reassuring copper of a wintering RMJ. I can’t explain the heartache of looking at a tree like this. 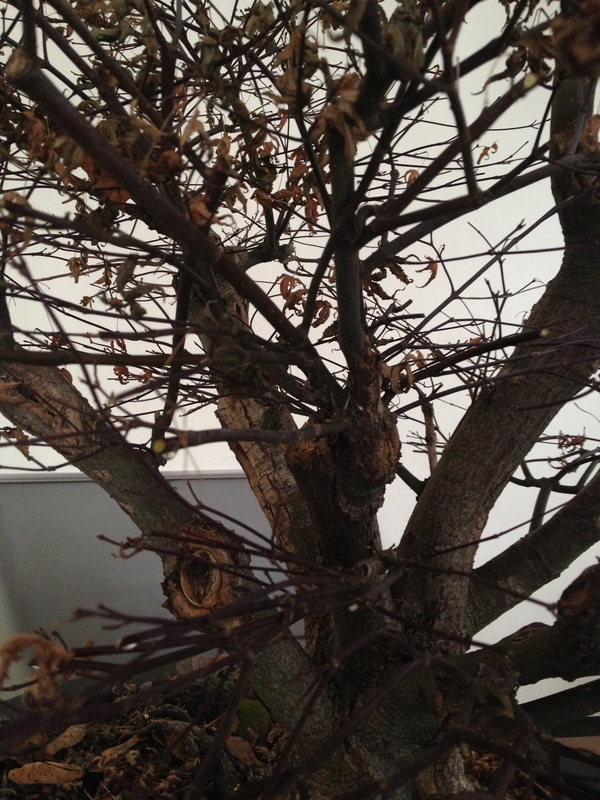 The tree was easily world class and, by everyone’s estimation it was likely to die. I didn’t take any pictures. 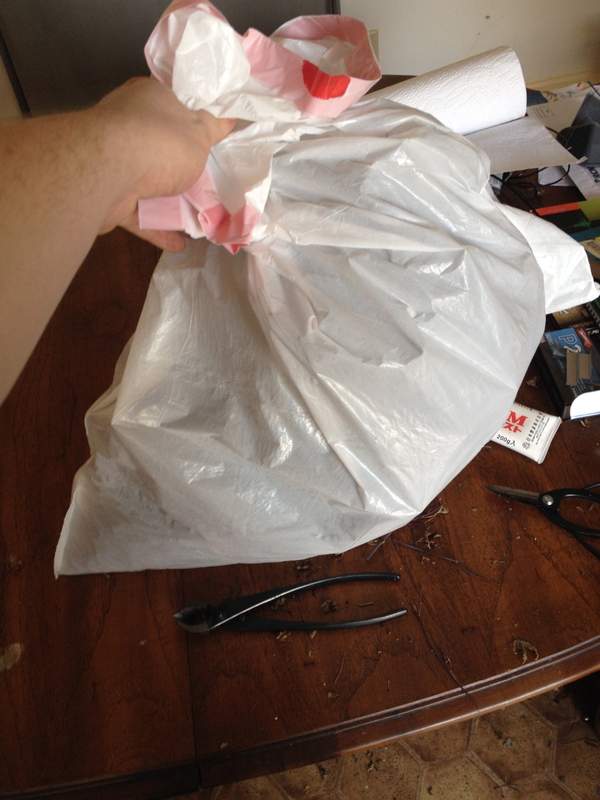 Doing so would seem… I don’t know. Obscene. 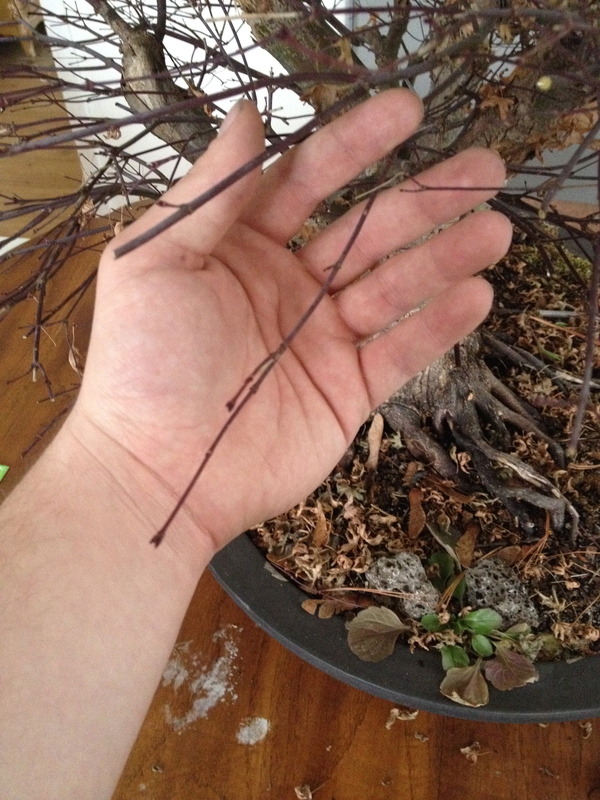 With chopsticks we combed through the roots, clipping away those that had already died and decomposed into grub like tubules of rot. Every so often someone would mumble “Damn I hope this makes it.” Walter would glance over anxiously, then concentrate on other trees. For me this was the most educational aspect of the entire weekend. 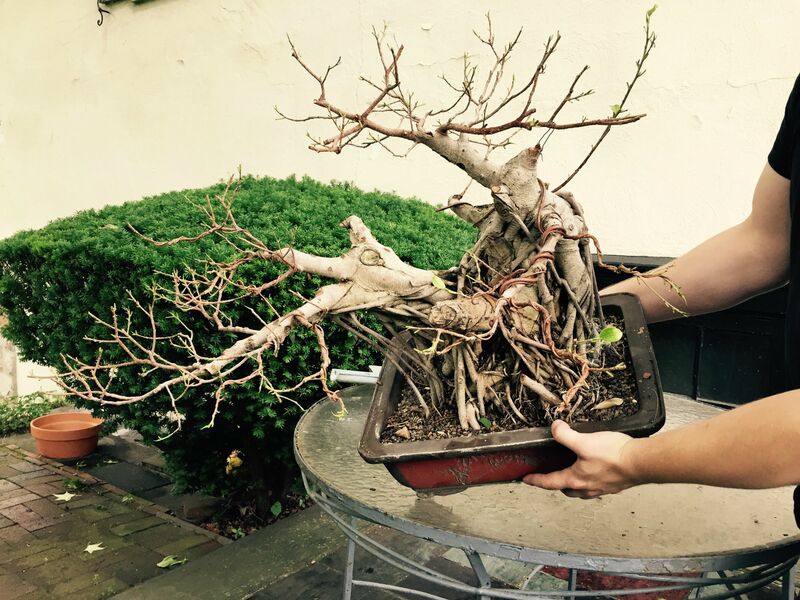 It was the transmission of the secret knowledge of bonsai, last ditch efforts to save a dying and beautiful tree. 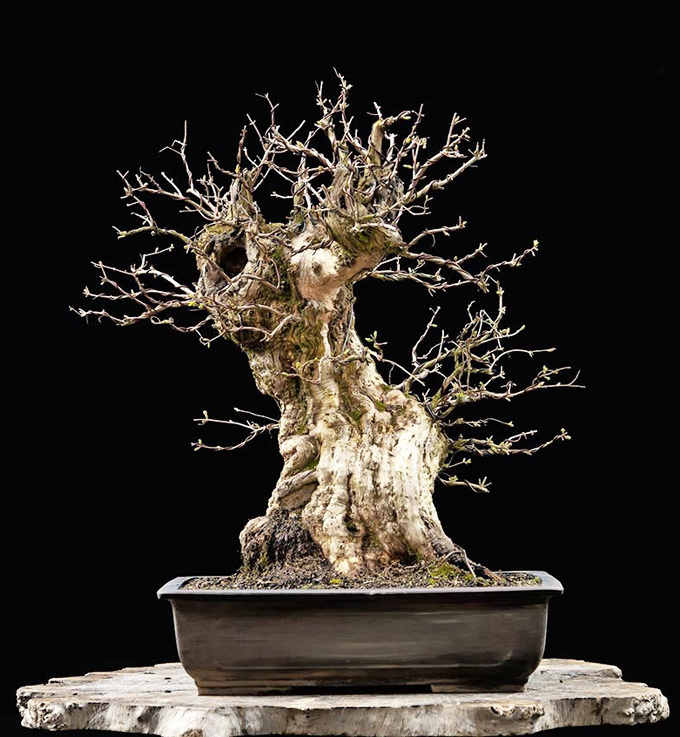 I spend my days watching how bonsai live, but very rarely have I ever learned how bonsai die and become something less than themselves. When it occurs it is over so quickly that I do not have time to understand it. This was a chance to observe the expert treatment of the soon to be lost. I should be familiar with this though. 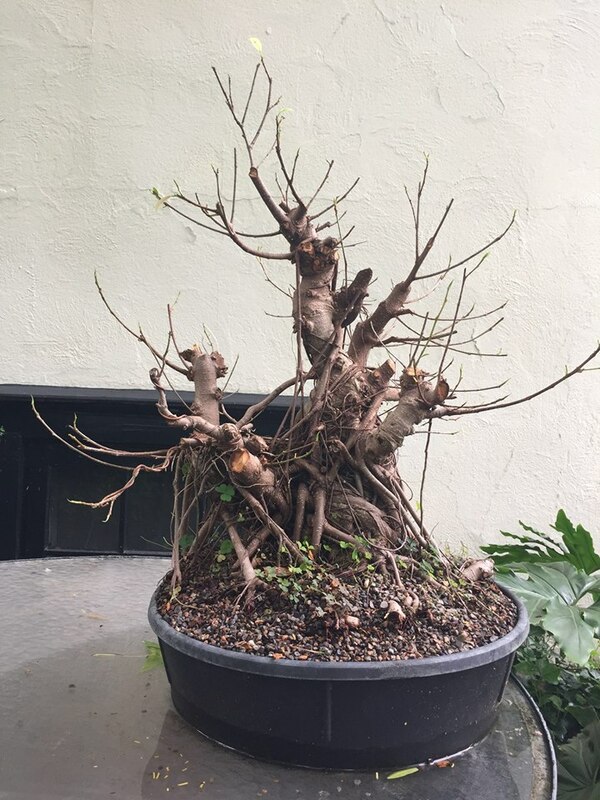 The bonsai stock I view as most magnificent, most beautiful and most ‘tree’ are those that have been kept on the edge of death for years, decades, sometimes centuries. Battered by time and the elements, these trees grow despite the adversity they face. It should be no surprise to us when one finally ceases and gives up its battle. We should not view it as a failure of horticulture, but the frame of our painting, the point at which all possibilities are exhausted. 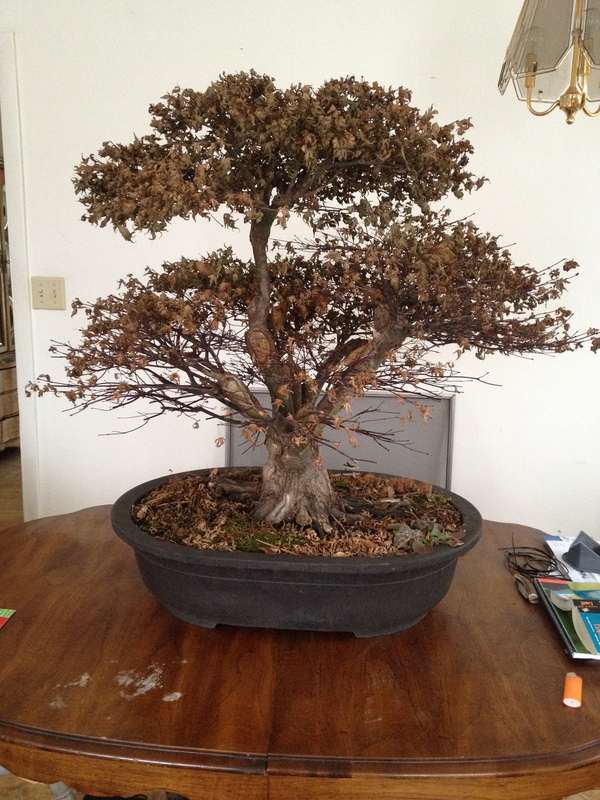 Bonsai, like all great art, is concerned with life and death. 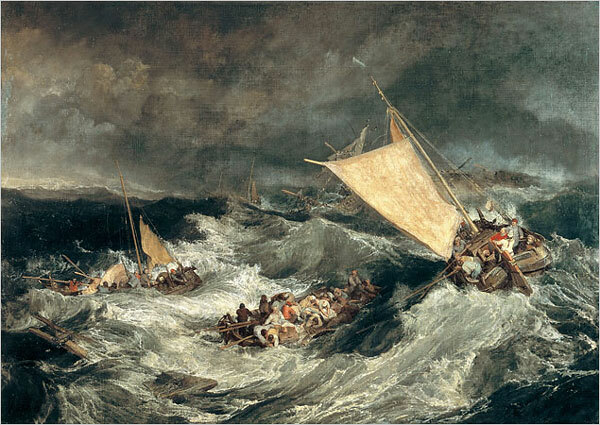 More than any other though, this art form demonstrates them in its essence. 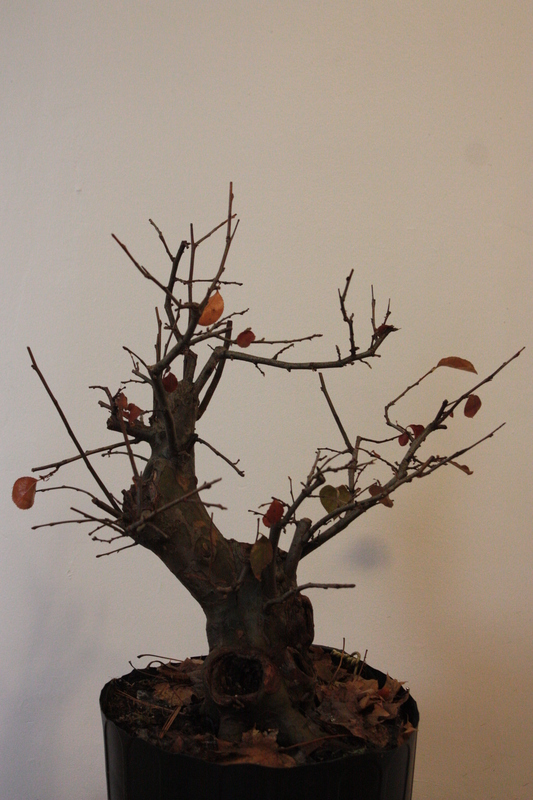 Because that is bonsai, the interplay of life and death, the living vein against bleached white driftwood. All trees will die. 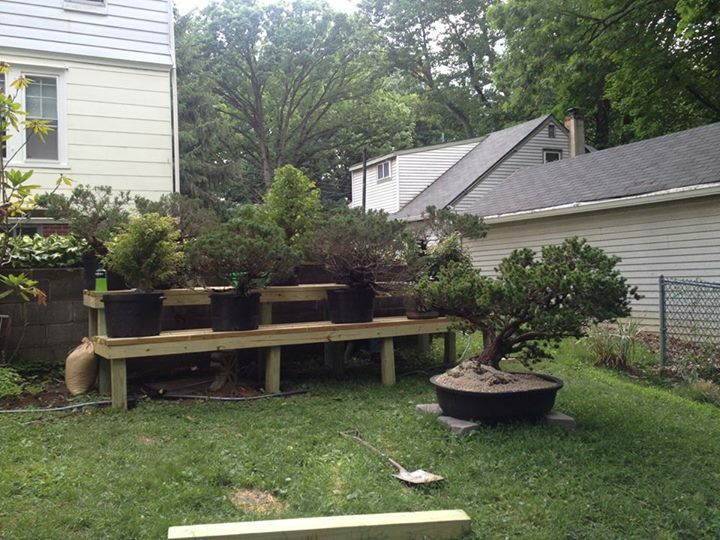 Very few will ever be bonsai. 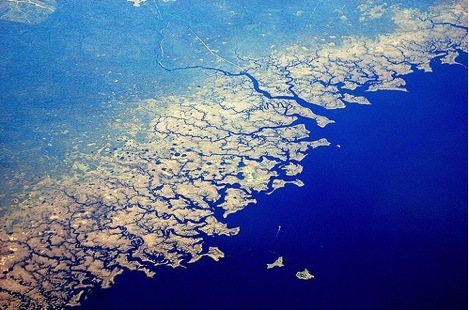 A man, a plan, a canal, PANAMA. Gearing up for spring, 2015. I really dread that question. 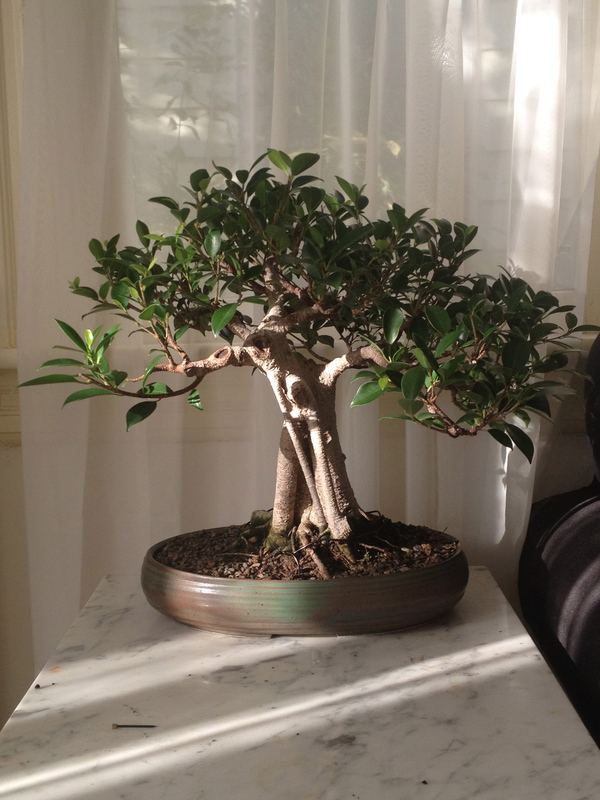 Whenever someone asks me that, it’s generally after I’ve talked their heads off about my tiny trees. Generally I’ll shrug and mention “The Dinner Game,” an excellent movie in which the protagonist invites obsessive idiots to a dinner party. The antagonist has binders of photos of miniature landmarks that he’s recreated using only glue and toothpick sticks. I mention that I would be an excellent idiot. That’s usually the end of it, but I’ve decided it’s an important question to answer. To do that I’m going to need to discuss some math. Don’t worry, we’ll be focussing on the big picture rather than any equations. The relevance will make sense soon. This is Sierpinski’s triangle. Looks complex right? Well, it can be built pretty simply. 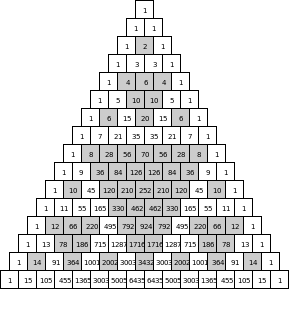 Build a Pascal’s triangle, shade the even numbers and there you go. 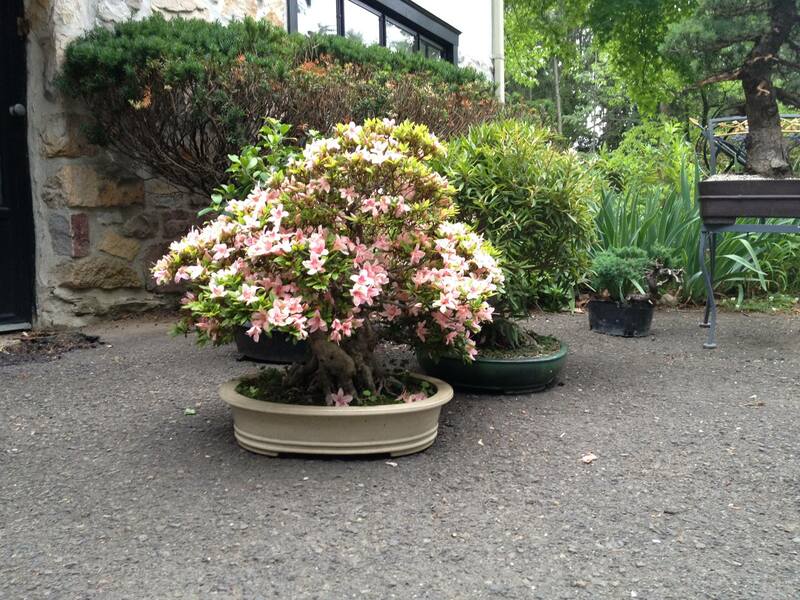 All of a sudden a very complex pattern has emerged from simple ‘rules.’ Fine then, what do these triangles have to do with bonsai? I’m glad you asked. 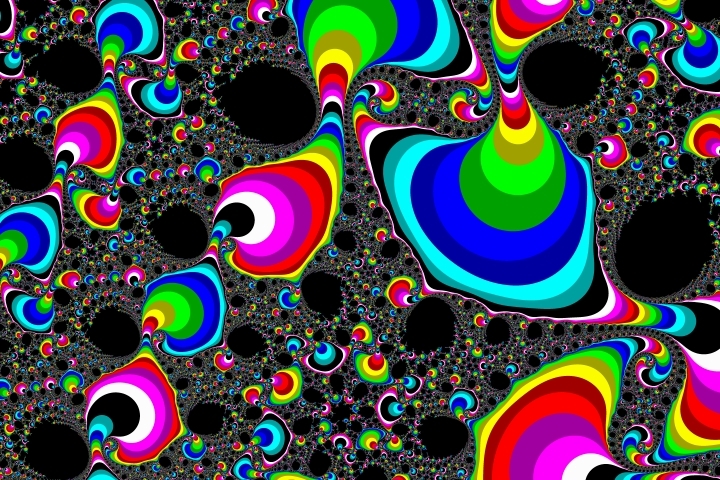 Let’s look at some more simple fractals, some that might be more relevant. Ehh? Ehhhhhh!? All of a sudden you can see that these shapes might look relevant to very boring trees. Change the ‘rules’ that generate your tree and you start to see some more interesting shapes. 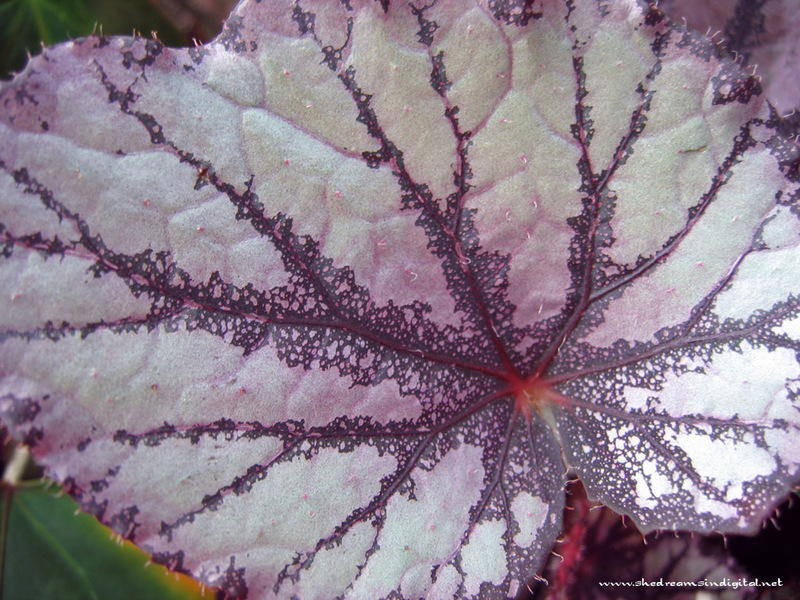 Fractals are natural shapes. The more you look into nature, the more you find them. 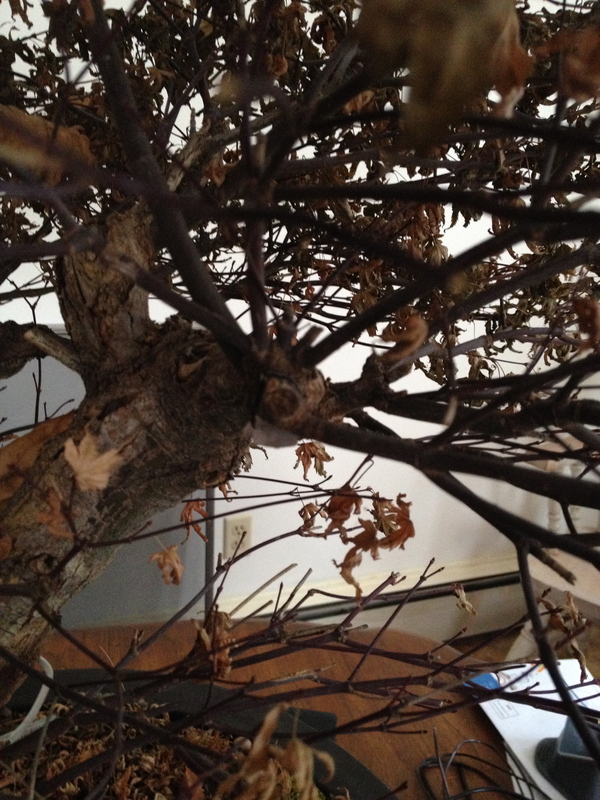 or the branches of the trunk and trees itself. 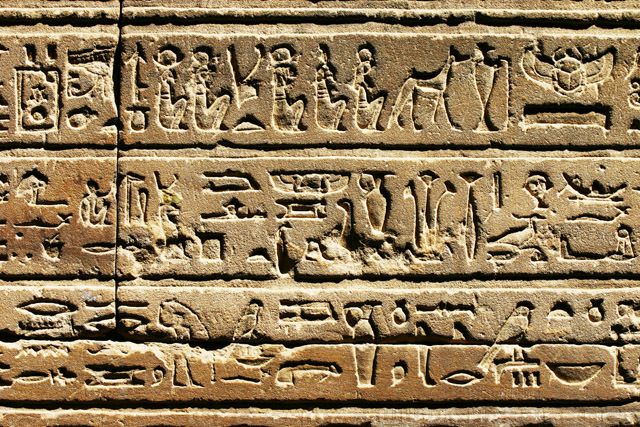 Whatever language life has, whatever logic or description of it as a whole is found in this sort of math. They have a curious kind of beauty in natural systems absent from the garish posters found in pretty much every dorm room. You know. 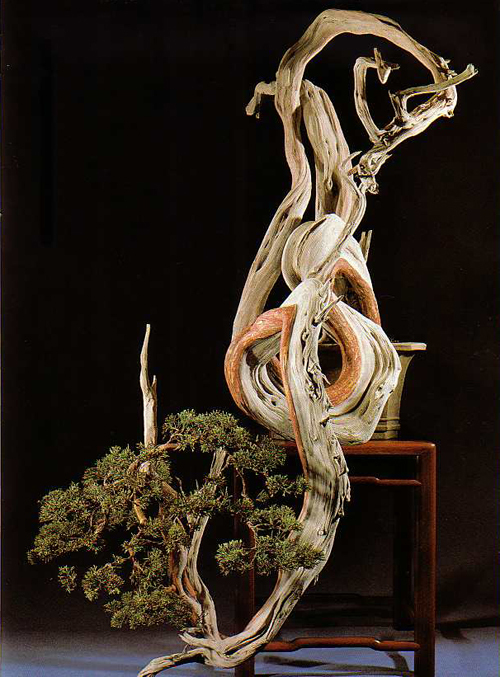 It’s easy to start to see these sorts of patterns in bonsai, particularly great bonsai. 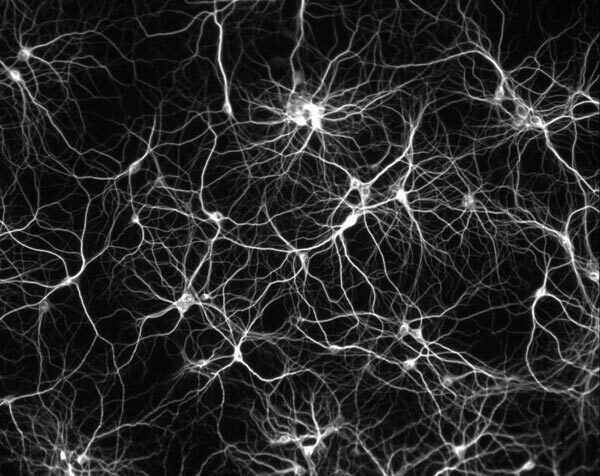 If you notice though, none of these trees resemble the perfect mathematical trees that we depicted above. 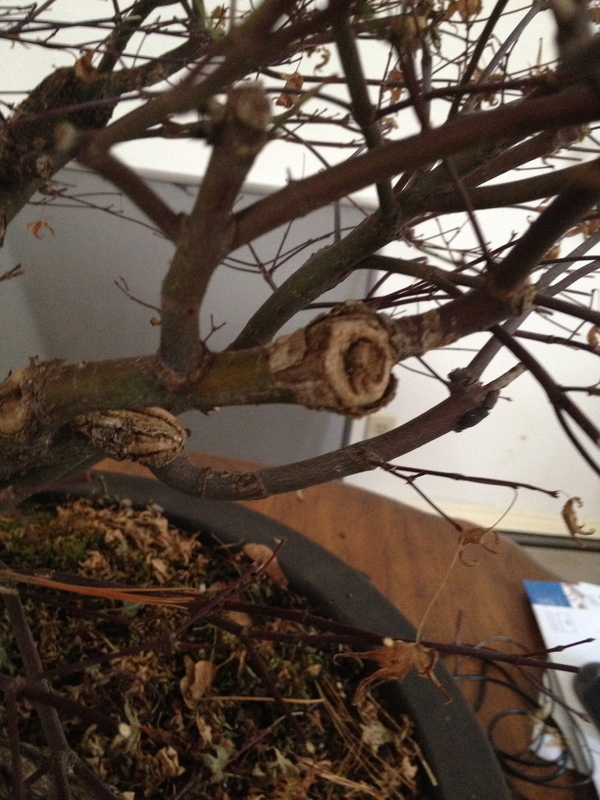 Instead they depict disturbed patterns, the trees’ internal logic bent by whatever adversities or unique situations that nature inflicted upon them. Even still, despite this adversity the tree pushes on, reproducing, flowering, growing, insisting upon its internal logic, its own rightness. 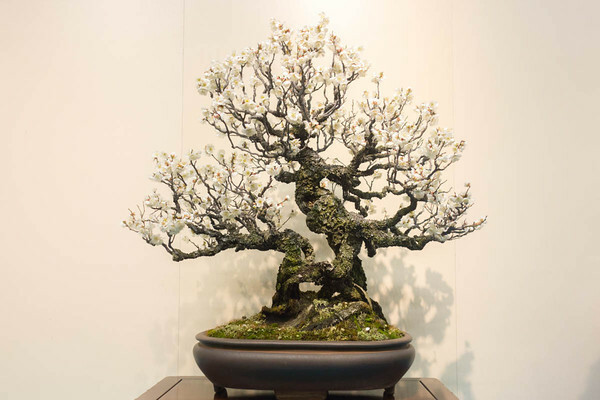 The fractal pattern of good bonsai means that the bonsai artist does not simply tell a story, they tell a story using that internal mathematic language of life, articulated in a living organism. 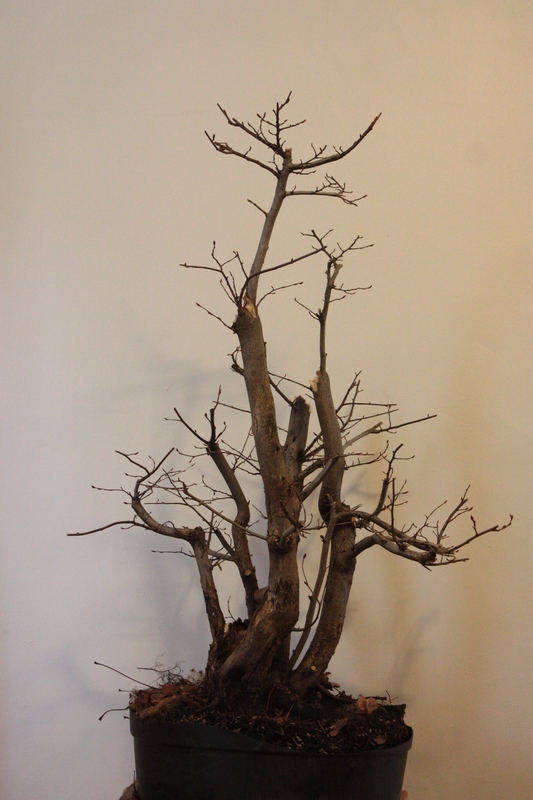 Bonsai then is not simply visual art, it is performance art, spoken between the tree and the artist in the same language that guides all manner of natural system. 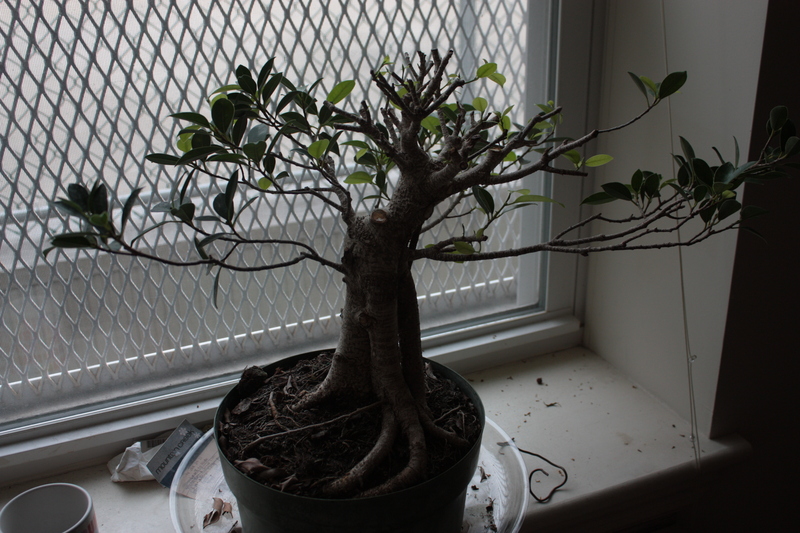 That is why I bonsai.